If you are wondering this, you are not alone. 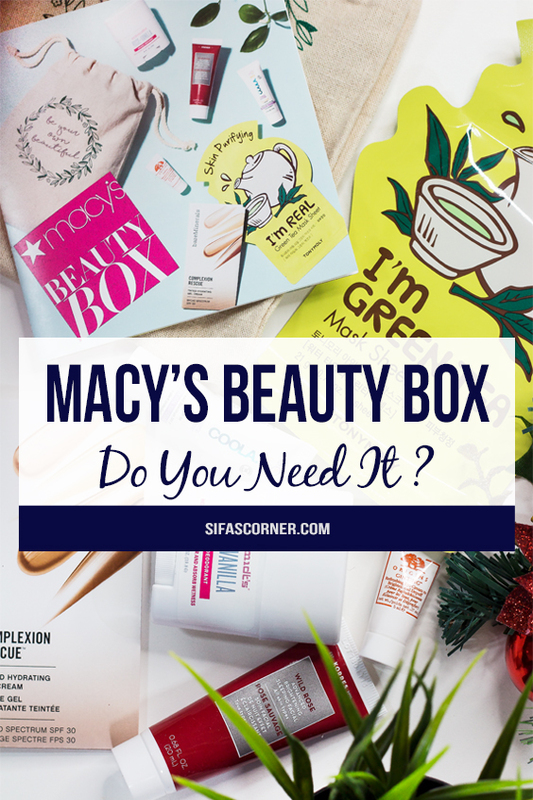 Many people do not know yet that Macy’s has a beauty box subscription service. 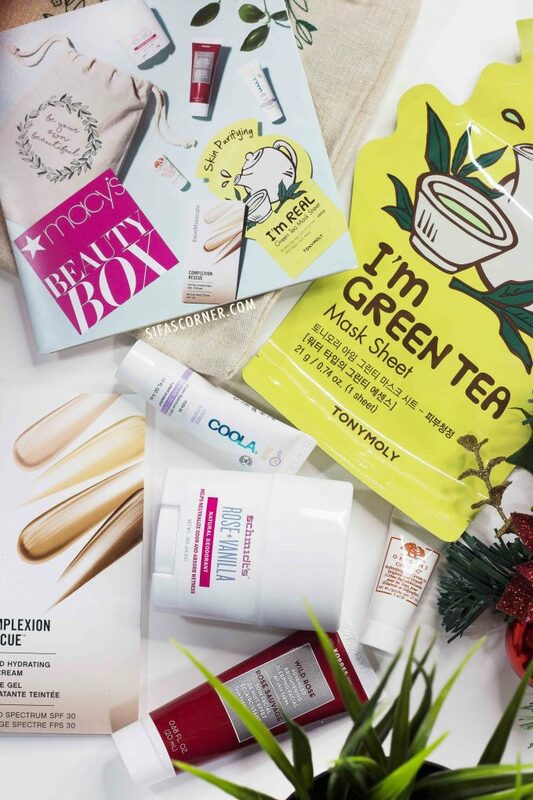 It’s probably because our favorite beauty bloggers do not talk about it often, or maybe there are too many beauty boxes out there to keep track of. So I dug deep, did some research and tried Macy’s Beauty Box subscription service for you. Keep on reading to see if they met my expectations. If you have not heard or been to Macy’s, it is one of the premier retailers in the USA. 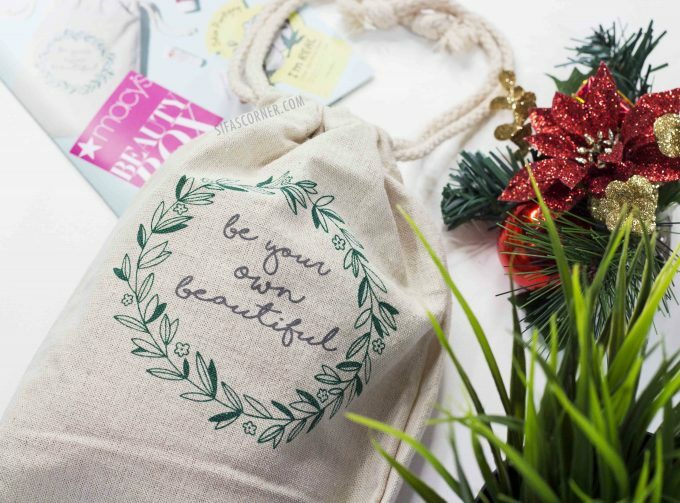 They have a subscription service and when you sign up to be a part of this monthly subscription program, each month you will receive 5 (five) deluxe beauty samples, one bonus item, a collectible cosmetics bag and a $5 beauty coupon exclusively for Beauty Box subscribers, available for use online and in-store. 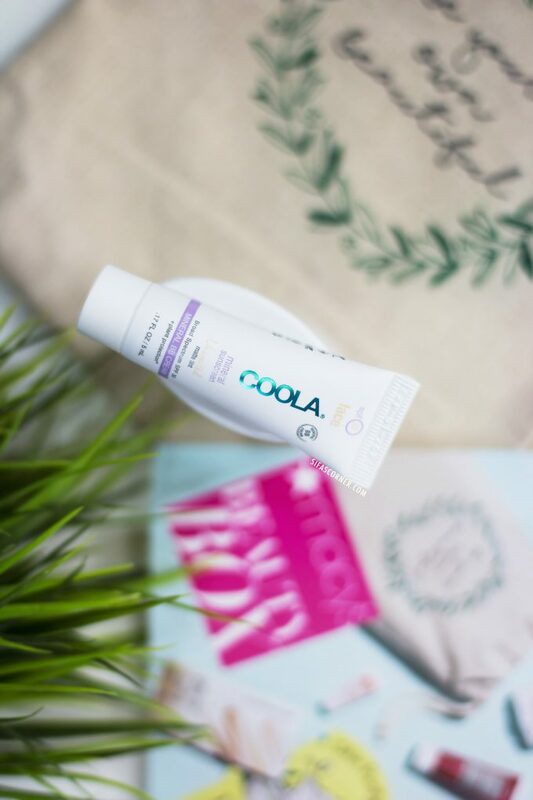 Treat yourself to our natural beauty picks, free of potentially harmful parabens and sulfates. From moisturizers to masks & more, these plant-based formulas refresh, protect, and hydrate the skin. 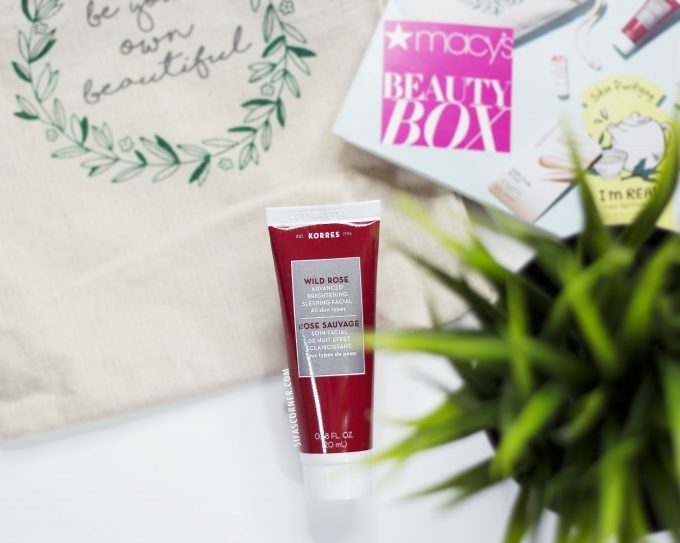 You can order Macy’s Beauty Box online here. 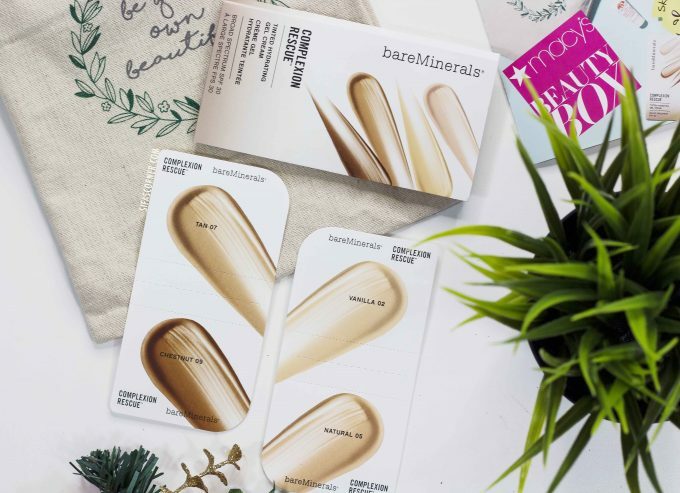 For $15 a month (with free shipping), you’ll receive 5 deluxe samples and one bonus sample, a makeup case, and $5 off your next beauty purchase at Macy’s. It ships to the 48 contiguous United States. 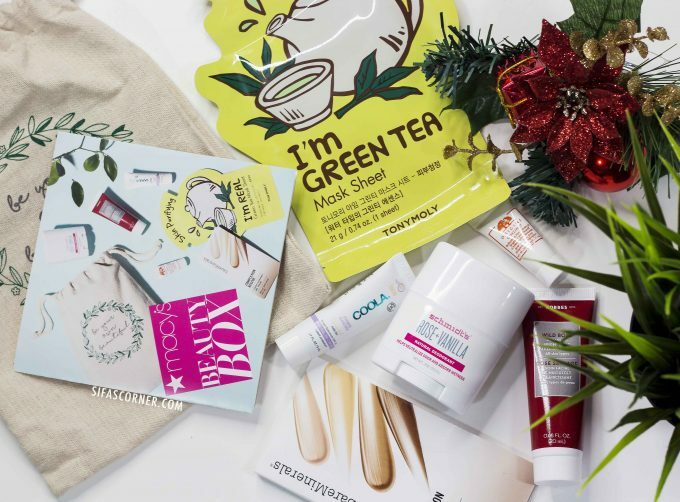 The Macy’s Beauty Box cannot be shipped to PO Boxes, APO/FPO/GPO address, Hawaii, Alaska or U.S. Territories at this time. The box contained: 5 sample sized products, 1 swatch card and a $5 off coupon. This is a moisturizing mask with rose oil and vitamin C. Needless to say, it smells amazing and also works really good. My skin feels softer and healthier after using it at night. 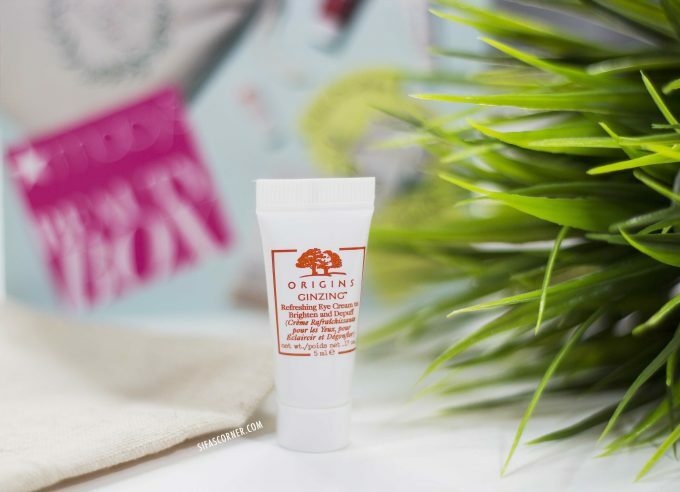 This eye cream is made with caffeine from coffee bean, Panax ginseng, Magnolia Extract & natural optic brighteners. I use it in the morning when my undereye area feels dry and tired. 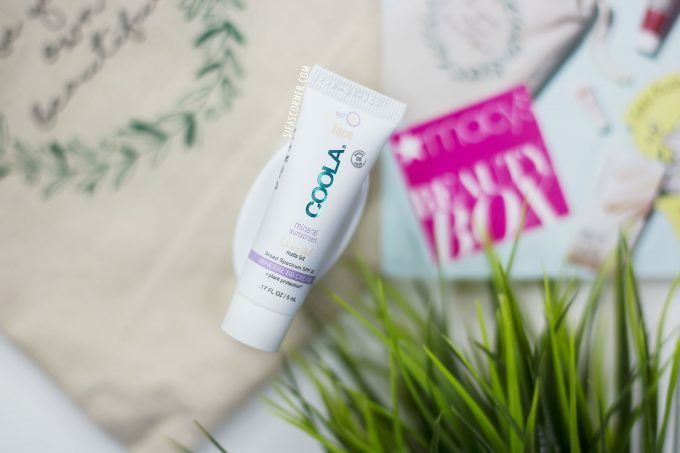 This matte finish mineral sunscreen has antioxidants and rose hip oil. This sunscreen does not leave a white cast nor have a weird smell (you know, how most sunscreens do?). It’s also a bit tinted which is perfect for me as I don’t wear makeup every day. And also, did I mention this is MATTE? This deodorant is rose and vanilla based. 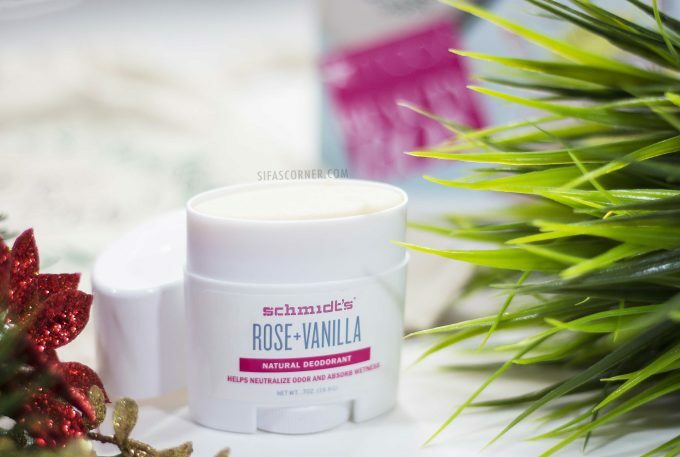 I already love the smell of vanilla and Schmidt has beautifully combined these 2 scents in this new product. I have already featured Schmidt deodorant product on my blog before (check it here). You can see the other optins they have. 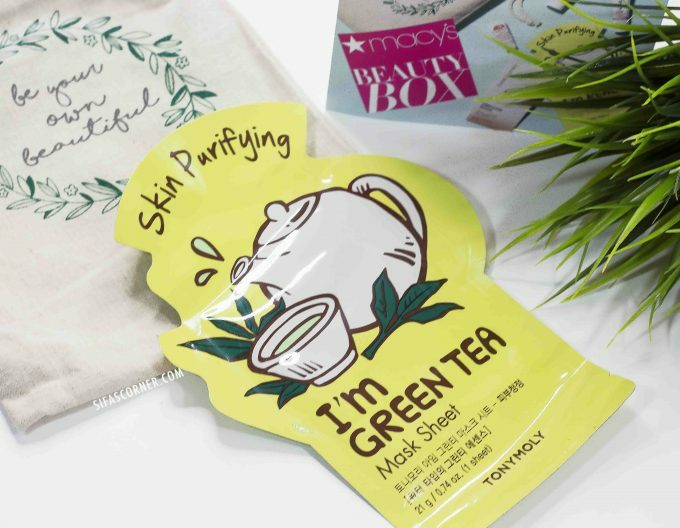 This mask has antioxidant-rich green tea extract which is said to purify and condition the skin. I saw a slight brightness or freshness after using the mask, it didn’t break me out either. 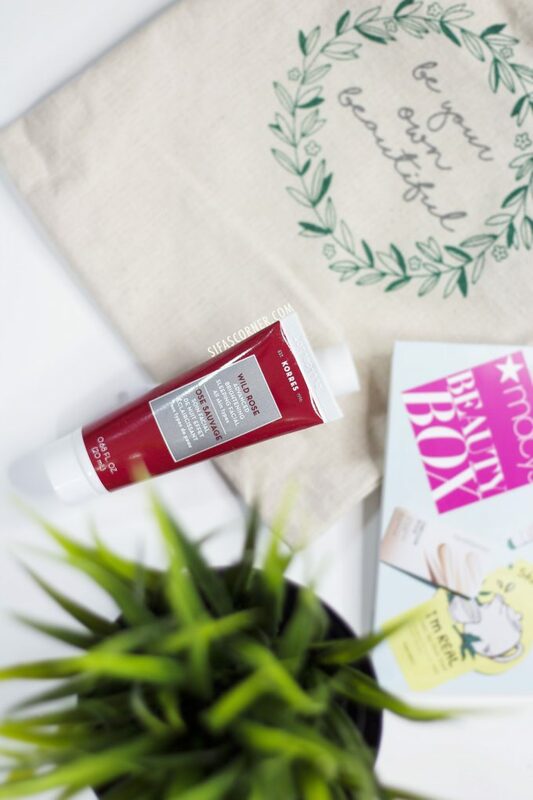 This is described as a multitasking mineral-based cream which provides hydration and coverage. The sample card is only good for color swatches so I can’t review the actual product without properly trying a full version first. But from the swatch, it seems like a product with light to medium coverage with a dewy finish. This one is my least favorite from the box as the size is not a proper size to be used even for travel. The product choice is good, and I love the themed collection. The box has an estimated value of about $42.25, so for the price point and product selection, I am quite happy. LOVED THE ARTICLE? PIN THE IMAGES FOR LATER. 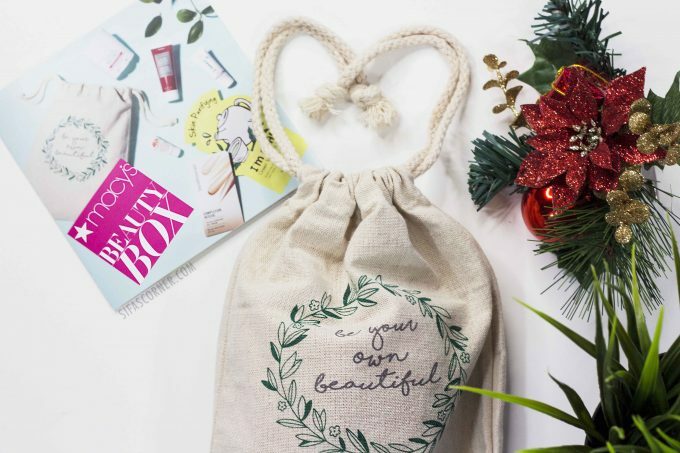 Wow – I didn’t know Macy’s had a beauty box 🙂 That natural deodorant looks like an awesome product; I would totally want to try that out! Hey Jenna, thanks for commenting. Yes that deo smells so good! I am not a huge rose-scent fan but the combo somehow makes things so amazing. I think you will love it too.